– To supply a friendly and professional service. – Trading with Integrity. Ensuring a pest free and chemically safe environment for our customers. We have over ten thousand satisfied customers. We carry out all work with the utmost professionalism and attention to detail. We employ only fully trained professionals. We use only the highest quality equipment and the most advanced & echo-friendly materials. We are WA Health Department registered and fully licensed. The barrier is created by injecting a termiticide around the perimeter of the home or building at approximately 20cm – 30cm intervals. Each hole size is approx 10mm. Fences, garden sheds, pergolas, patios, window frames, door frames, posts, tree stumps and landscaping areas etc are all thoroughly checked and treated. Wooden sub floor areas are checked and treated if accessible. 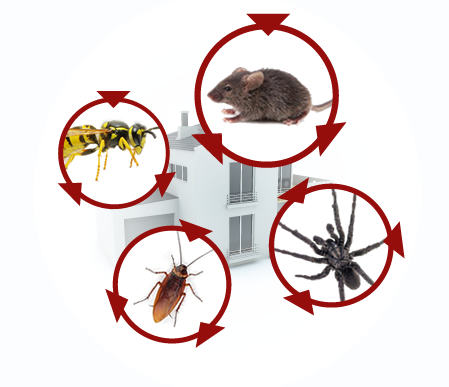 The chemical termite barrier treatment is guaranteed for 5 -8 years provided the yearly maintenance program is followed.